The huge surplus of oil that's been sloshing through global markets is set to evaporate. The International Energy Agency said Tuesday that it expects the global crude oil glut to start disappearing in the first half of next year, much earlier than it previously predicted. There is one major condition: OPEC and its partners must stick to their agreement to slash production. The cartel has agreed to cut its overall production by 1.2 million barrels a day starting in January. A group of non-OPEC nations -- including Russia, Mexico, Kazakhstan and Oman -- have also committed to slash output. The collective action helped push prices to a new 2016 high above $53 per barrel on Monday. Paris-based IEA said in its monthly report that if all parties stick to the agreement, "the market is likely to move into deficit in the first half of 2017 by an estimated 600,000 barrels a day." 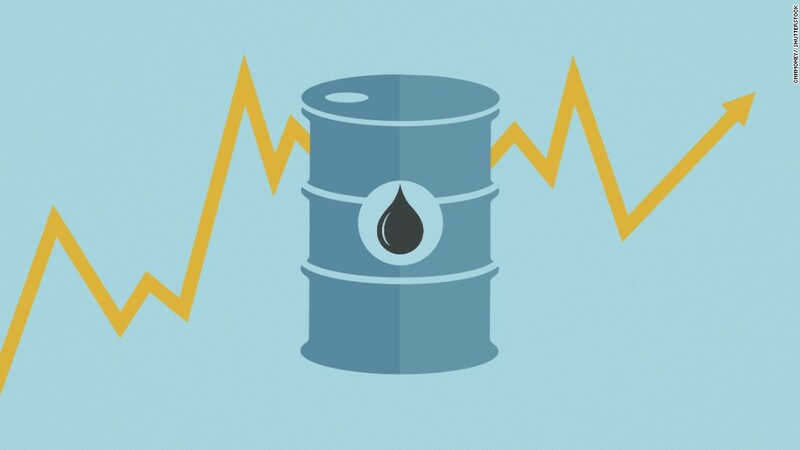 But the IEA also warned that the oil market outlook remains uncertain in the longer term. That's because the production cuts were only agreed for six months, with a review due in May. "This can be seen as prudent given the underlying uncertainties in the oil market and the global economy but also a warning that production restraint might not be extended," said the agency. OPEC producers want to cut production in order to push prices higher -- but only within certain limits. If prices rise too far, high-cost producers including the U.S. shale industry could start pumping again. But the IEA noted that some U.S. shale producers are already making new investments. The industry has put 161 rigs back in service since May, when the number of rigs dropped to just 316. In November alone, the number of rigs in operation increased by 36 to 477.